PBSO said it received information that a small airplane when down just north of the airport, about 400 yards from shore. 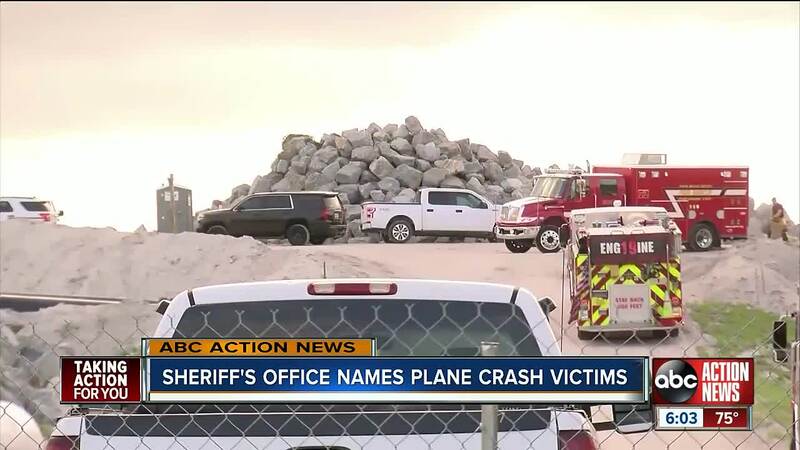 PAHOKEE, Fla. — Five people were killed after a twin-engine Piper aircraft went down in Lake Okeechobee while approaching the Pahokee airport Friday afternoon, according to the FAA. The twin-engine Piper departed from Tampa International Airport and went down at around 3:30 p.m. just north of the airport, about 400 yards from shore. The Palm Beach County Sheriff’s Office, alongside Palm Beach County Fire Rescue, searched the water. Divers eventually found the plane’s fuselage with five bodies inside. 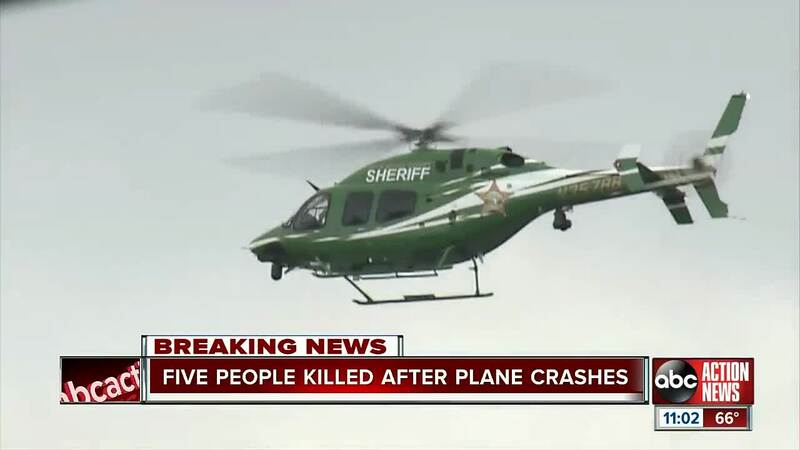 The Palm Beach County Sheriff's Office has identified the people recovered from the plane as: 45-year-old Eduardo Mulet of West Palm Beach, 73-year-old Eric Peterson of Lighthouse Point, 36-year-old Matthew Fiorello of Palm Beach Gardens, 43-year-old Heather Bridwell of Jupiter, and 54-year-old Edwin Mortell III of Stuart. Mulet was the pilot and the four passengers were attorneys at Peterson Bernard, an area law firm. Edwin Mortell III was the brother of Stuart’s City Attorney, Michael Mortell. Mortell says his brother leaves behind a wife and three grown children. “They were empty nesters together. They had just moved to a new house. Their life was ahead of them. Everything was in order. They had it all. It was just the way they wanted it. And it just got stolen from her last night out of nowhere,” Mortell said. Mulet leaves behind a wife. According to the Palm Beach Post, Fiorello was a musician, a dad and husband. The Palm Beach Post also reports Bridwell was an avid boater, a wife and mother. Eric Peterson is a founder of the Peterson Bernard lawfirm. A flight tracker shows the plane veer off of its original track for the flight plan just west of Lake Okeechobee. 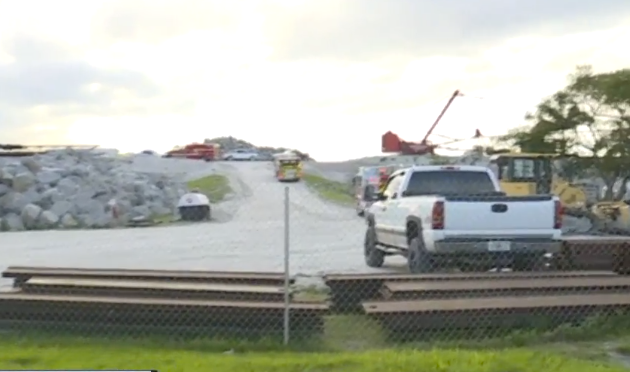 It appears to go back on track at the lake, before losing altitude east of the lake, where it crashed. According to FlightAware at Glades airport at 3:35 p.m., winds were blowing about 13 miles per hour, visibility was 10 miles and there were some clouds. Robert Katz, a flight instructor and commercial airline pilot says the next step is recovering as many parts of the plane as possible and then use them to try to understand why the plane went down. "Basically, take an inventory and see how they call fit together and to account for any missing pieces.The initial examination is to determine if all the control surfaces of the aircraft were functioning normally," said Katz. 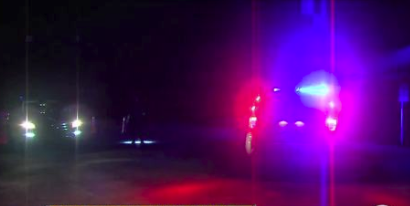 The Sheriff’s Office will remain on the scene overnight, keeping the scene secure as the investigation continues. The death investigation will be handled by PBSO Violent Crimes Division and the airplane crash will be investigated by the FAA and NTSB. A preliminary report from the NTSB will be out in about the next 10 days.